When flying the Cessna Citation Mustang, one of the main factors of operating an aircraft is to determine the Cessna Citation Mustang Operating Costs. Cessna has published their calculations of the Cessna Citation Mustang Operating Costs. Currently Cessna has the Citation Mustang operating costs at $2.73 per nautical mile and $855.87 per hour. These numbers are based on a Fuel Cost of $5.50 per gallon and a maintenance shop Rate of $107.00 per hour. Note from Cessna: Actual operating cost will vary according to mission profiles flown, maintenance practices, and utilization. When calculating the Cessna Citation Operating Costs or any other aircraft's operating costs, looking at the fuel burn/fuel cost is the best place to start. The Cessna Citation Mustang has 385 gallons of usable fuel and travels 1,150 nautical miles (nm) or 1,323 statute miles (sm) with 4 passengers under NBAA IFR rules. By using these numbers the Cessna Citation Mustang uses 0.33 gallons per nautical mile or 0.29 gallons per statute mile. The Citation Mustang travels 2.99 nautical miles per gallon or 3.44 statute miles per gallon. FlyRadius finds that these fuel burn numbers are on the high end for the Citation Mustang because it accounts for a 100 nautical mile fuel reserve. The Cessna Citation Mustang is likely to burn 0.29 gallons per nautical mile under high fuel burn conditions. The Cessna Citation Mustang will burn, on average, 0.25 gallons per nautical mile. By using the above average fuel burn number (0.25 gal/nm) to calculate the Cessna Citation Mustang Fuel Cost Per Hour, fuel costs will be around $412 per hour with Jet A costing $5.00 a gallon. You can then add other expenses like maintenance to get the total Cessna Citation Mustang Operating Cost. Above Cessna Citation Mustang Operating Costs Photo by Noel Jones on Flickr. Photo (only) released under a Creative Commons License. The second operating cost item for the Cessna Citation Mustang Light Jet is maintenance. 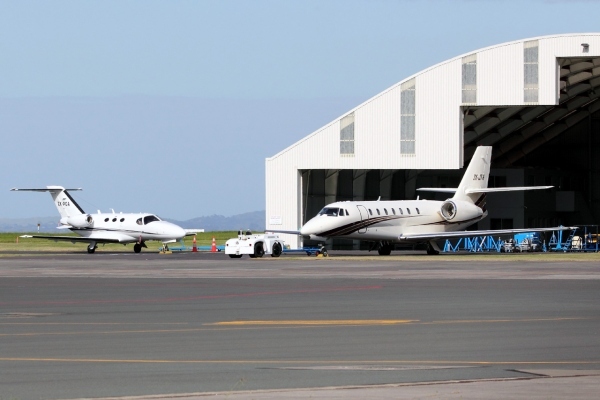 Cessna Citation Mustang maintenance costs can vary over different operators. Sun Airlines has seen that the maintenance costs usually vary from $60-$110 per hour for the Cessna Citation Mustang depending on the total numbers of hours flown (Estimated). There are also other operating costs for the Cessna Citation Mustang that include, Cessna Citation Mustang insurance, hanger/parking costs and hiring a pilot (if needed). These will all add to the operating cost for the Cessna Citation Mustang jet. Some of these costs are static and the total cost per hour will be lowered with more utilization of the Citation Mustang very light jet. Cessna Citation Mustang Fuel Burn / Citation Mustang Fuel Consumption: 0.25 Gallons Per Nautical Mile (gal/nm) or 4 Nautical Miles Per Gallon (nm/gal). 0.29-0.33 Gallons Per Nautical mile on the high end. Cessna Citation Mustang Cost Per Hour: $412 Fuel + $70 Maintenance = $482 per hour (not including other costs). For Reference: The Cessna Citation Mustang Operating Costs are also known as the Citation Mustang Operating Costs, Cessna Mustang Operating Costs, C510 Operating Costs, Cessna 510 Operating Costs, CE-510 Operating Costs, Citation Mustang light jet Operating Costs, Cessna Citation Mustang Aircraft Operating Costs, Cessna Citation Mustang Jet Operating Costs and the Cessna Citation Mustang VLJ Operating Costs.